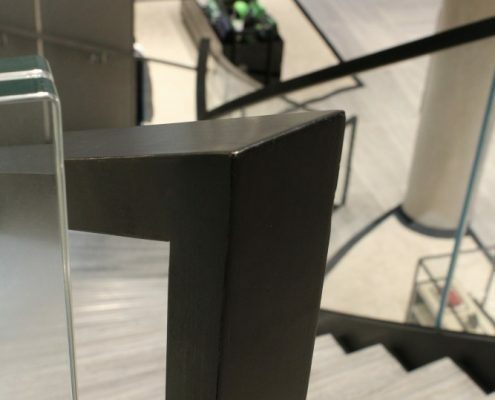 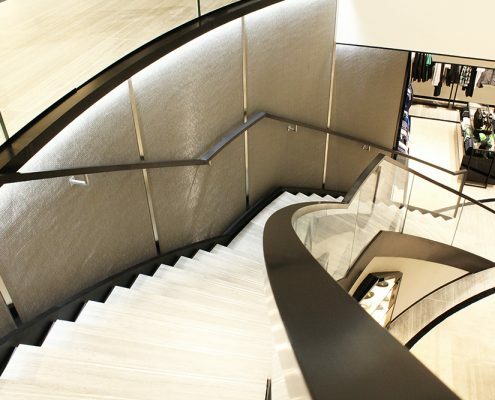 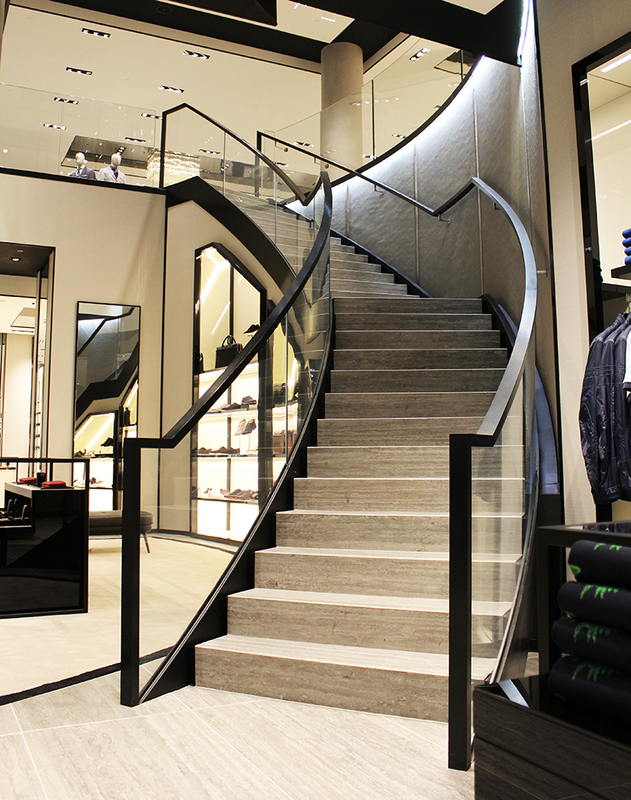 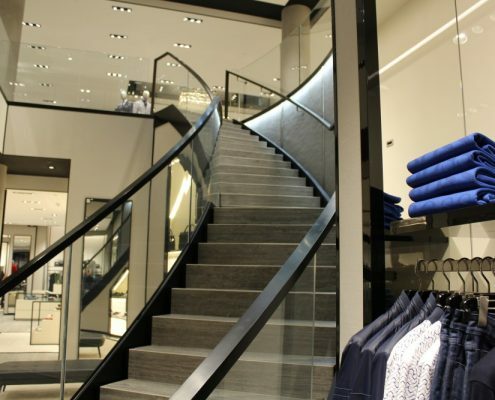 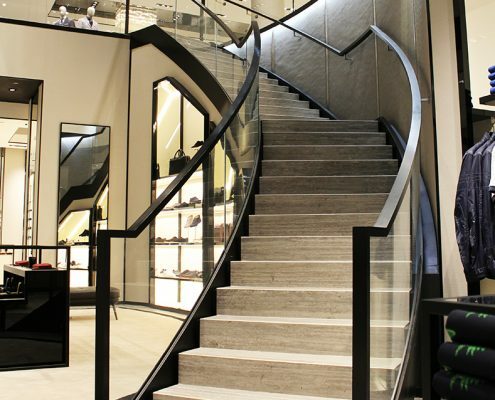 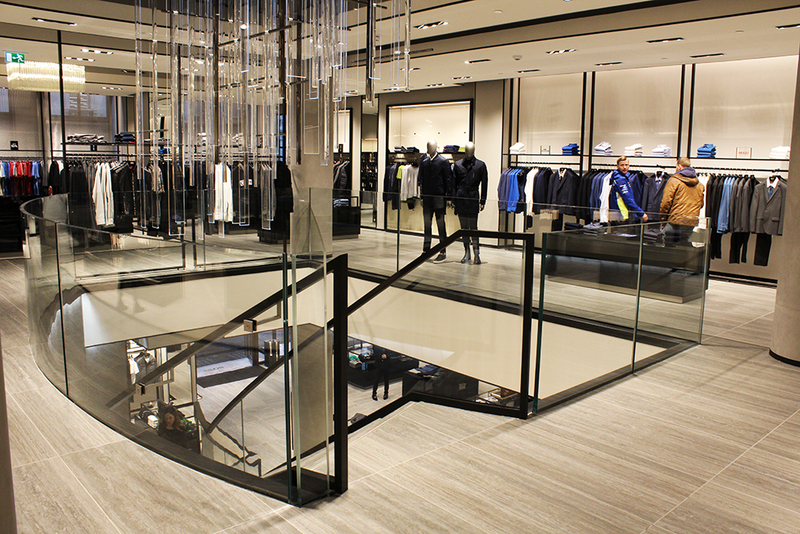 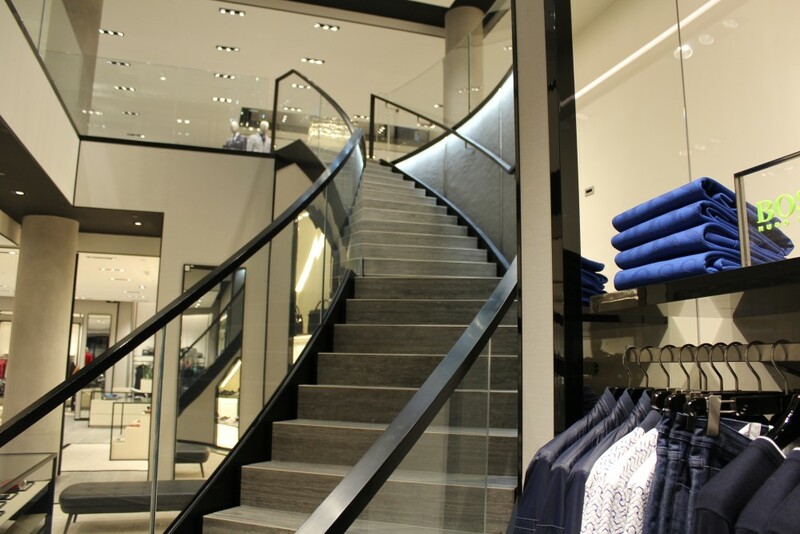 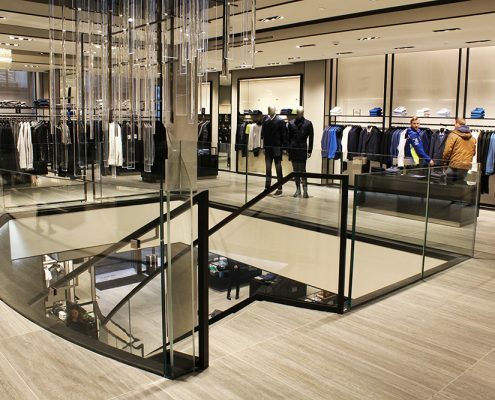 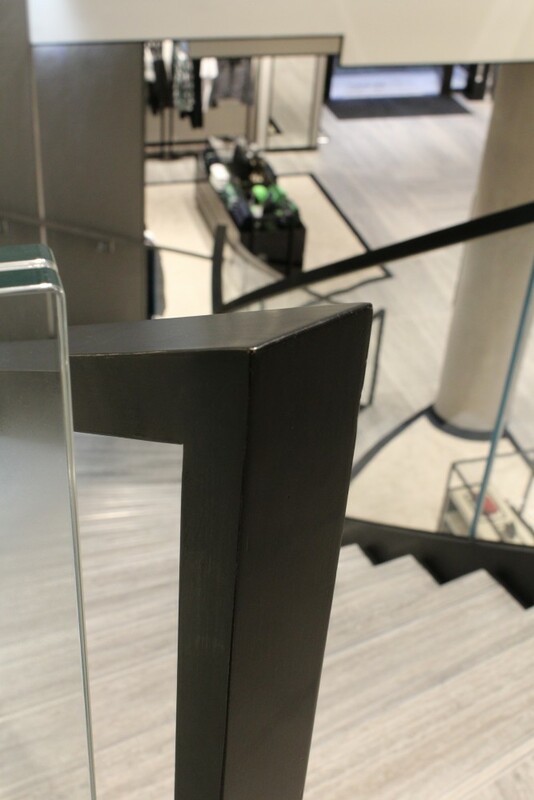 We were approached by one of the UK’s leading steel staircase manufacturers to supply and install a timber handrail with a difference at the Hugo Boss Store, on Regent Street in London. 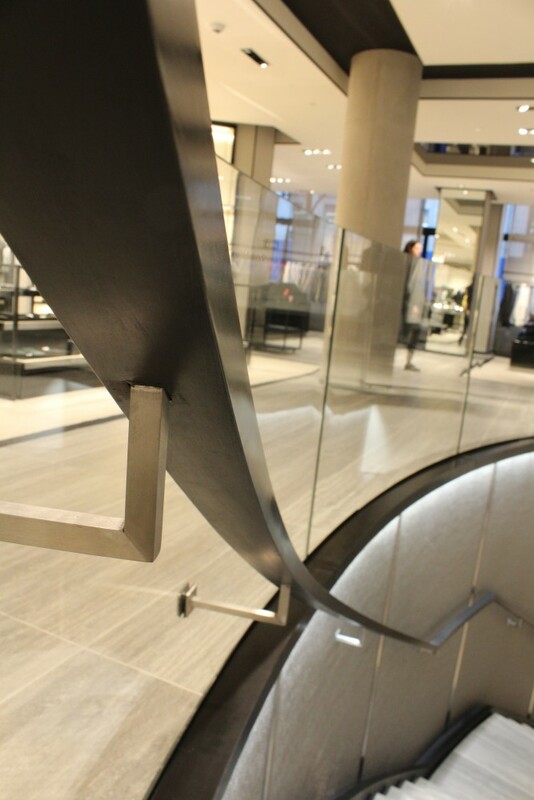 Typically powder coated steel in other stores, the sweeping handrail needed to be stained black and have a flawless paint finish with invisible joints. 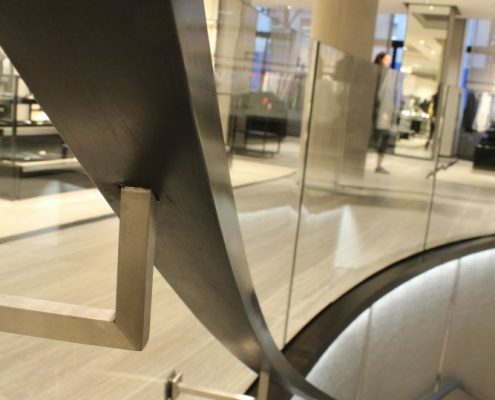 Our experienced team used Tulipwood for the base material, and applied the finish on site in record time to see the store open in time for Christmas 2015. 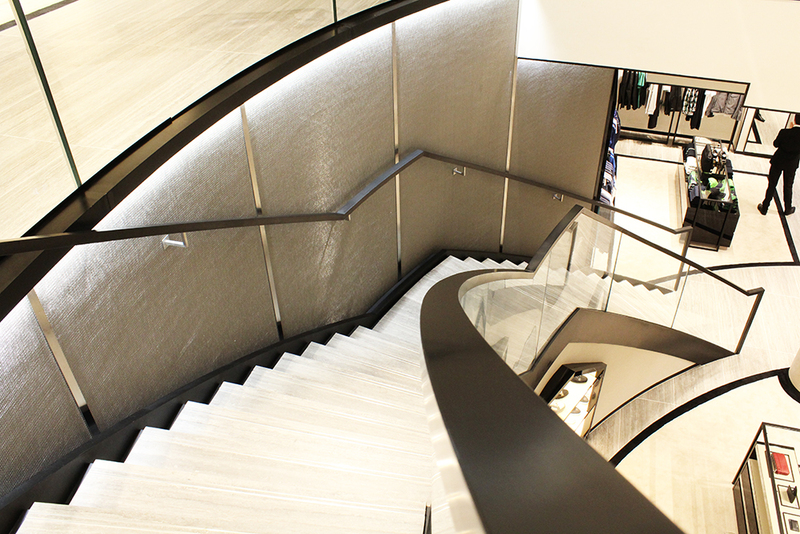 Our team worked around the clock to completion in two weeks from survey.